Venus — the 256-foot super-yacht, commissioned by Steve Jobs — has been sighted in Ensenada, Baja California. A coastal city in Mexico, on the Baja California Peninsula, Ensenada is a popular cruise ship destination. 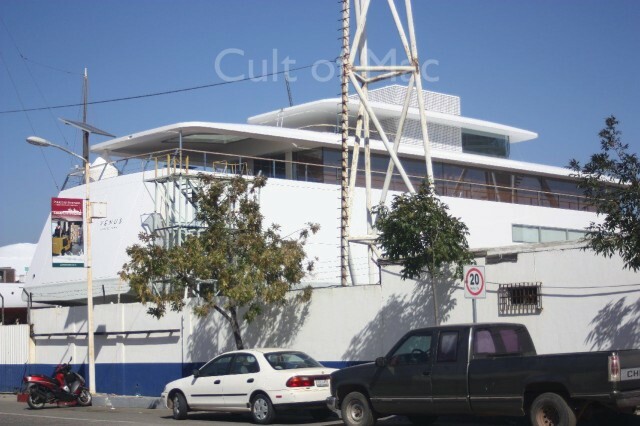 Photos of the vessel in dock were sent in by Cult of Mac reader Felipe Cornejo. Cornejo notes that he did not see any of Jobs’ family at the site, and that dock workers he spoke with weren’t aware this was Jobs’ boat. 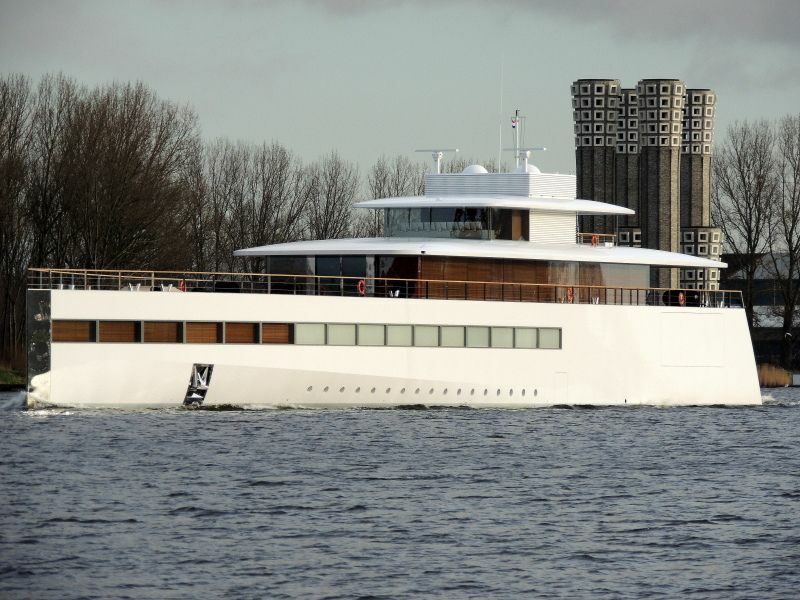 This isn’t the first time Jobs’ yacht has been spotted in the region. One month ago it was sighted in Mexico’s Cabo San Lucas bay, following a lengthy period stuck in an Amsterdam port pending a payment to the yacht’s designer by lawyers representing Jobs’ estate. 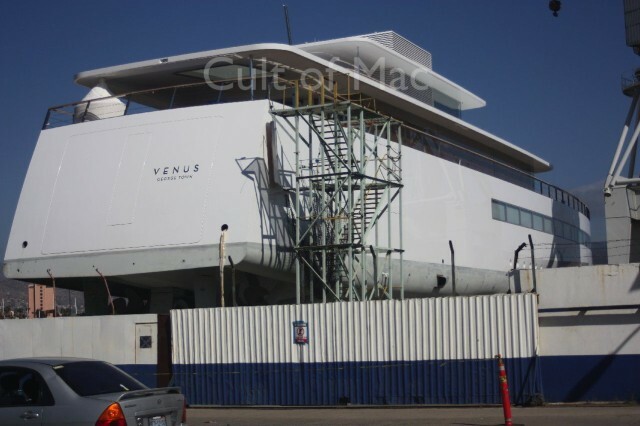 According to data from ShipSpotting.com, Venus arrived in Ensenada on April 10. Previous docks include Antibes, Gibraltar, Hong Kong, Zhangjiagang, Tianjin, Cape Town, and Durban. Despite telling journalist John Markoff in 1980 that, “There’s no yacht in my future,” Jobs began working on building his dream sailing vessel around 2008, prior to his liver transplant. Jobs commissioned legendary French designer Philippe Starck to design the 255-ft yacht, which cost in excess of €100 million to build. However Jobs died before he was able to use it. 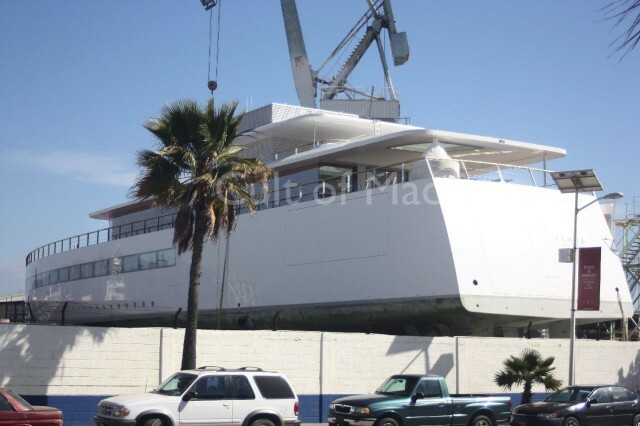 Jobs reportedly recruited the chief designer of the Apple Stores to design a special glass for the yacht, capable of providing structural support. On board, a row of 27-inch iMacs are used to control the ship from its wheelhouse.